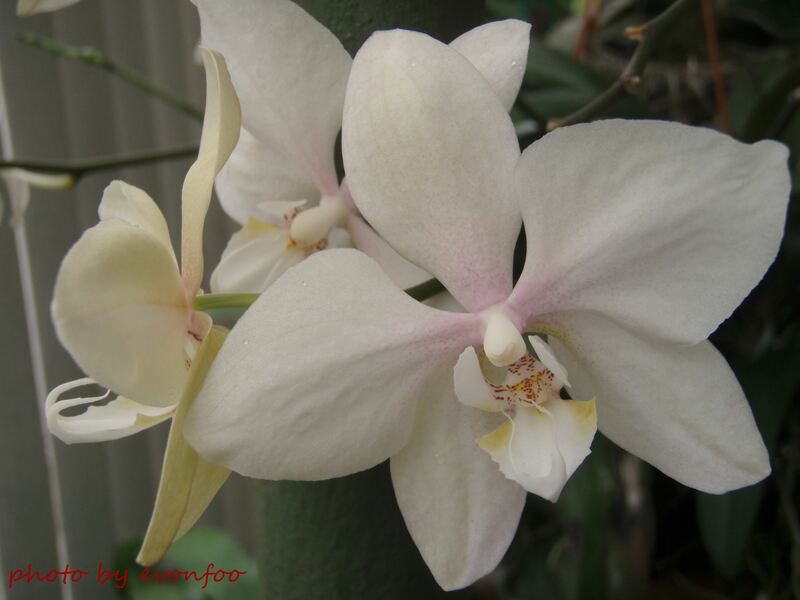 My favourite flower is the orchid, all varieties, shapes and sizes I love them all! 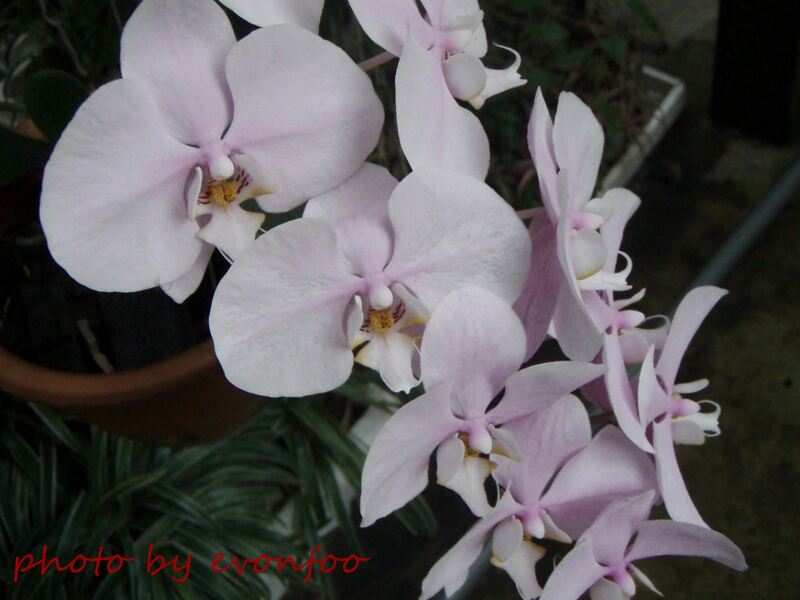 I love them for their beauty, elegance, fragrance and uniqueness and I think they truly are one of God’s wondrous creations! 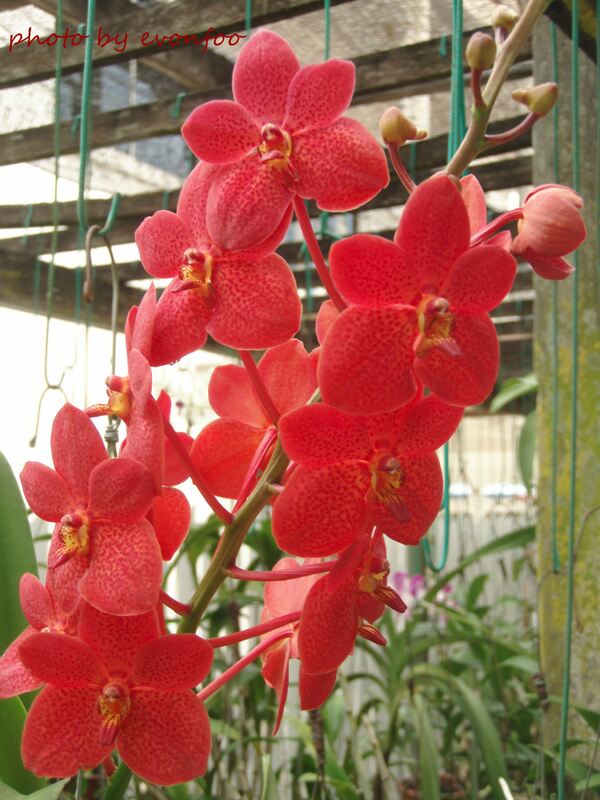 In the Chinese culture orchid is one of the Four Noble Plants, the other three being the plum blossoms, chrysanthemums and bamboo. 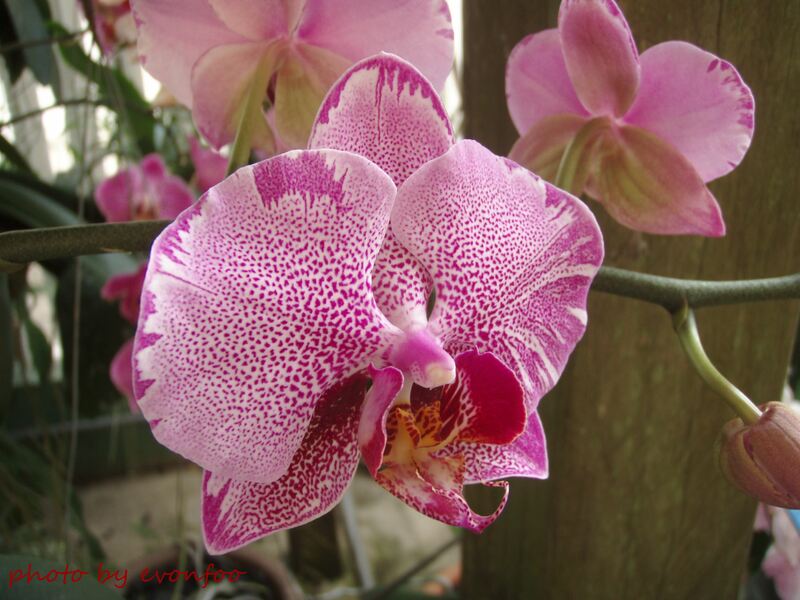 Since more than two thousand years ago in ancient China orchids have been appreciated not just for their fragrance and beauty but also as a symbol of nobility, righteousness, integrity, humility, self-discipline, purity, loyalty, patriotism, friendship, elegance, gracefulness and refinement. Through the ages poets and scholars have written countless beautiful poetry to praise and pay homage to these absolutely alluring flora from the Chinese philosopher Confucius (孔子) to Qu Yuan (屈原), poet and minister in the Warring States of ancient China and Li Bai (李白), the greatest poet from the Tang Dynasty just to name a few. 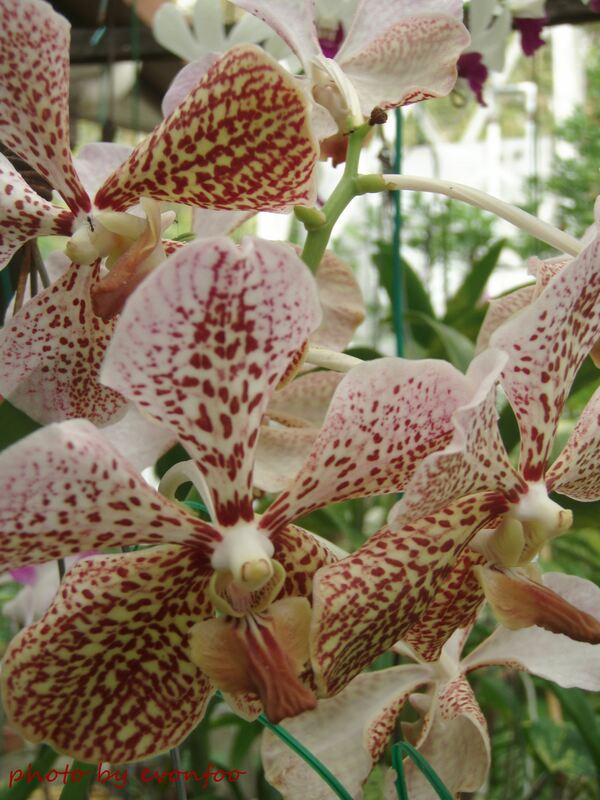 I guess my love for orchids is greatly influenced by my dad who has a great passion for these extraordinary flowers since we were young. 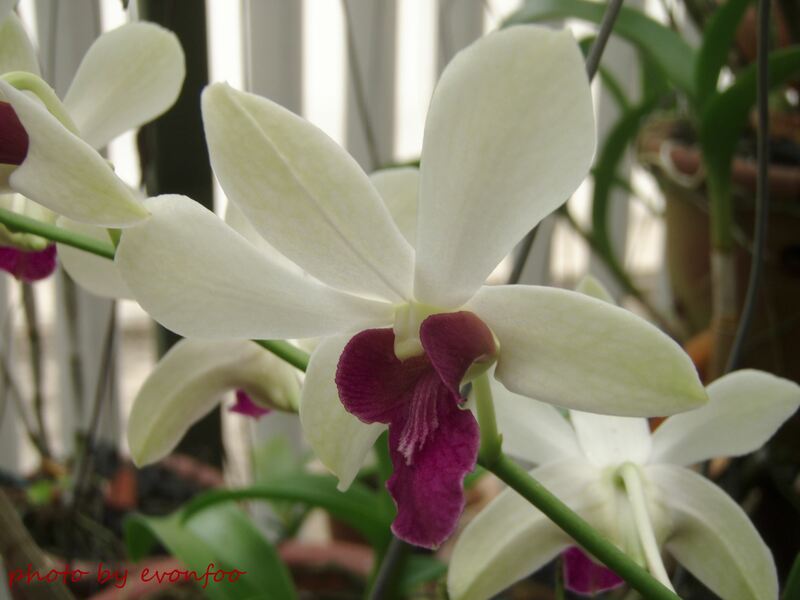 I remembered we used to hung around downstairs with dad in the evening when he worked on his orchids; he would first make the “pots” patiently from scratch using wooden strips and screws as terracotta pots were not readily available then as they are now and he would also make the wire hangers for the pots. I was amazed at how these strange plants could survive on a few chunks of coal and brick pieces with no soil at all and how long their roots would grow. 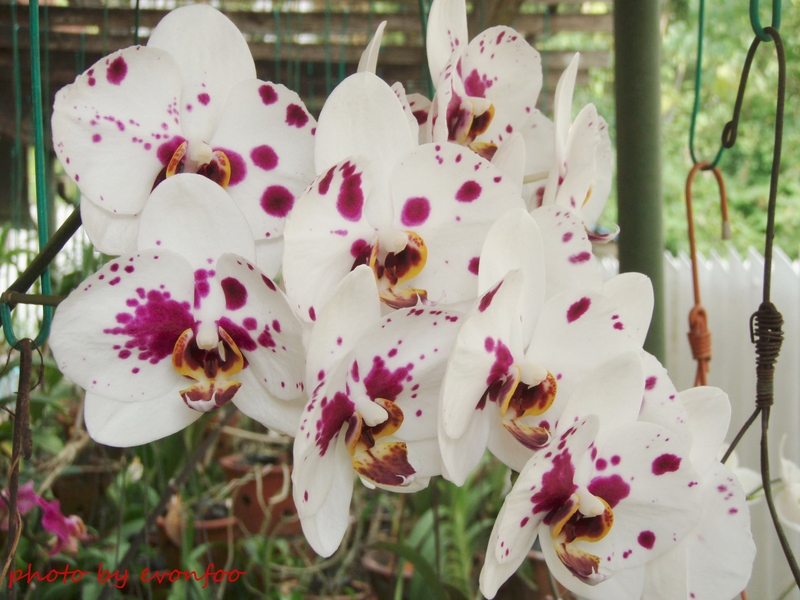 When I was old enough to help out with the household chores I remembered I used to hate the job of watering the vast collection of orchids every afternoon before I grew to appreciate the beauty of these remarkable flowers. 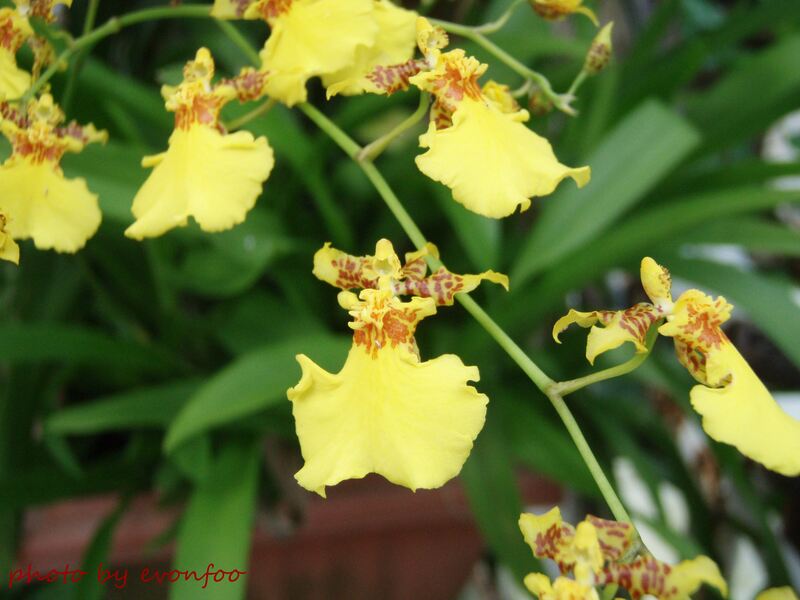 When we moved from Sandakan town to Kota Kinabalu more than 20 years ago the orchids came with us but of course dad had to scale down his collection and he left a lot behind including one of the species that I like, the cattleya and only brought the ones that he treasured like the vandas, vanda JVBs, dendrobiums and phalaenopsis etc. Now I know it must have been very hard for him to decide what to keep or give up. Over the years dad works on his orchids quietly and he can spend hours in the evening or during the weekend tending to them. 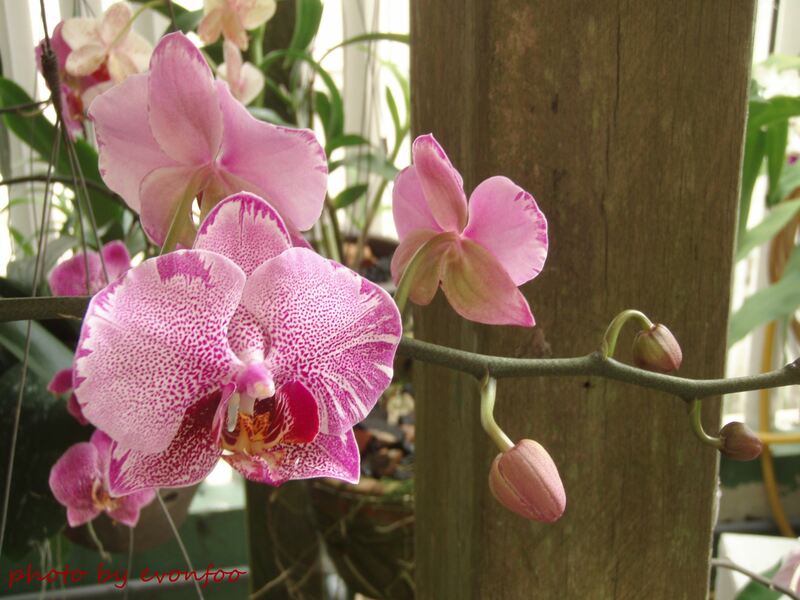 When a pot blooms especially if it is one of his newest collections or a rare species, or one that he has kept for many years but never bloomed until then he would put them out in the front so that we all can admire it in plain view. 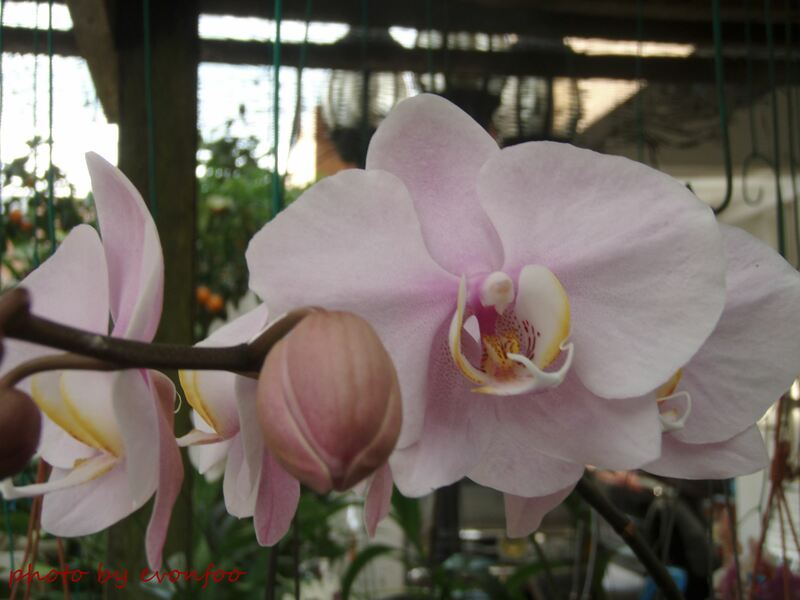 I remembered there was this one Chinese New Year years ago when one of his phalaenopsis bloomed for the first time, we were all overjoyed and dad especially was over the moon but what we found truly incredible was not how big the blooms were or how remarkably striking the shade of dark pink was but the fact that dad had kept this pot of orchid that never bloomed for 17 years! Talk about patience and faith! 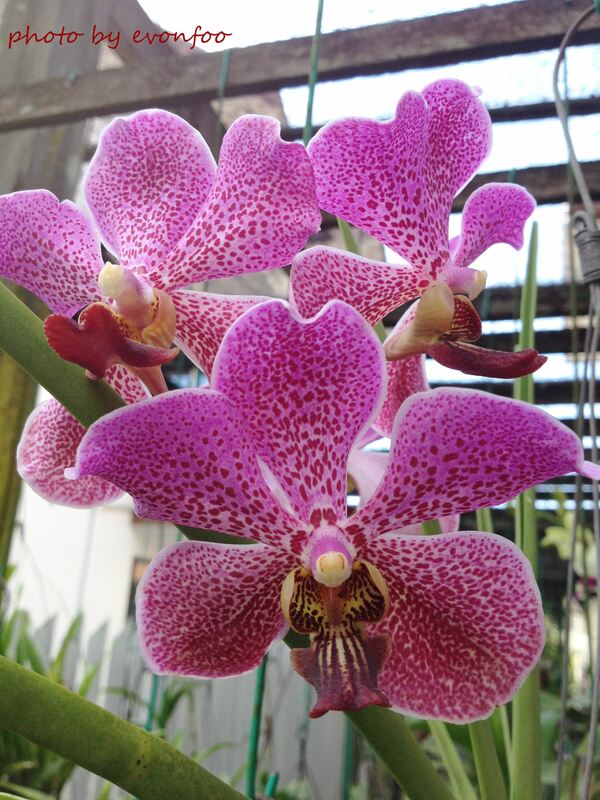 After his massive “clearance” last year dad’s collection of orchids has diminished considerably but I guess as time goes by it is far easier for him to take care of an orchid garden of a smaller scale and he seems to enjoy it better with a small but more exclusive collection of orchids. I am glad that this hobby of his keeps him busy and active and under his tender loving care we are blessed with the wonderful opportunity to enjoy some truly stunning and exceptional blooms through the years, and many more to come.